Five years ago (5/6/10), during the 2010 NPT Review Conference, you can find my blog post on “Egypt, the Spoiler?” After the 2015 RevCon, we can dispense with the question mark. What happened in New York was symptomatic of a broader malaise affecting arms control, nonproliferation, and disarmament: acts of personal and national projection without due regard for consequences have become commonplace. Acting out trumps substance and imbalance is unbounded. Foundations of international security built with great care and considered effort in past decades are undermined. The commonweal yields to narrow agendas. The center continues to slip away. The more Iran pursues nuclear capabilities, the more Cairo rails against Israel’s Bomb. In diplomacy, as in sports, this is known as a misdirection play: The nuclear threat posed to Egypt by Israel, with whom it signed a peace treaty in 1979, hasn’t changed. The big change in Egypt’s neighborhood has been attempts by Iraq, Libya, Iran and Syria to acquire capabilities to make nuclear weapons. Any conference that requires consensus, with almost two hundred potential vetoes, has two most likely outcomes: a lowest common denominator success or an ugly mess. The 2005 NPT Review Conference was an ugly mess. The 2010 Rev Con was a lowest common denominator success. Actually, the 2010 RevCon wasn’t a lowest-common-denominator success, since it established an ambitious plan of action. But the hard realities of international relations between major powers, regional adversaries, outliers, and throughout the chaotic Middle East foiled progress on this work program in the five years between RevCons. Vladimir Putin is in tear down mode (as in the post-Cold War status quo around Russia’s periphery) and is not yet interested in President Barack Obama’s offer of one-third reductions from projected New START levels. China has begun MIRVing. Pakistan and India are engaged in a bona fide nuclear arms race, with Pakistan in the lead. North Korea is forging ahead with its nuclear stockpile and ballistic missiles. Sykes and Picot are long dead; their map-drawing handiwork in the Middle East didn’t survive the toppling of Saddam Hussein. Against these circumstances, what could a RevCon hope to achieve? To use this RevCon as leverage for an unworkable, non-diplomatic, anti-Israel agenda, as Egypt did in New York, was an act of brazen disregard for the global goods and services provided by the NPT and its ancillary bodies. Cairo acted to ensure failure in New York, and deemed it a success. Folks: by characterizing the RevCon as a failure because the participants could not agree on a consensus document is to unwittingly do Cairo’s bidding. Sure, there were lots of fractious reasons why this RevCon wasn’t a feel-good exercise. But only one of them seems to have been a deal-breaker. Cairo demanded a zone in the Middle East free of weapons of mass destruction, to be launched by a conference without an agreed agenda between states whose diplomats have a hard time shaking hands or even being in the same room together. It is remarkable that only the United States, the United Kingdom, and Canada refused to sign up to this language. More remarkable still was that their refusal was widely characterized as resulting in the failure of the RevCon. Since when does the refusal to submit to extortion constitute failure? Aside from the dispute over the Middle East, the draft final document was unremarkable – another lowest-common-denominator text reflecting the tugs and pulls of competing agendas. I salute those who wish to bring the humanitarian consequences of nuclear warfare to the forefront. Good things can come from efforts to strengthen the threshold against nuclear use anywhere in the world. Bad things can come from holding the NPT hostage to this agenda. I support abolition, but do not have the hubris to think that it can be achieved except when political conditions permit and on a step-by-step basis. Movements that focus on end states run out of steam. Where help is needed most urgently, while international relations are perversely messed up, is on preventing the first use of nuclear weapons since 1945. In this bleak canvass, the most significant ray of hope emanates from a prospective nuclear limitation agreement with Iran. One would think this would be good news for countries in the Middle East, including Egypt. Instead, Cairo has ratcheted up its campaign to hold the NPT hostage to Israel-bashing. Cairo signaled the death-knell of the RevCon on its first day, with Moscow serving as its Chief Abettor. There was no preparatory diplomacy before the RevCon to work out next steps, necessarily halting, to move forward on this agenda item. Cairo wanted its way or “failure.” Disagreement on a final text followed. I have company in being at a loss in figuring out a strategic plan behind Cairo’s tactics. The policies pursued by the government of Benjamin Netanyahu are entirely worthy of criticism. Israel’s domestic and national security policies lead straight toward increased isolation, with RevCons being one manifestation. But to damage the NPT for the actions of a non-member is akin to railing against human rights organizations while shooting at street demonstrators. So where do we go from here? I’ve blogged previously about the Dunn Theorem (3/18/13), named after Lew Dunn, the Bronx’s gift to the NPT. Lew’s theory about RevCons is that back-to-back successes are a rarity. More likely, in his view, every other RevCon is a flop. Lew was proven right in 2015, but his theory is now in jeopardy. The contentious issues on display at the 2015 RevCon aren’t going away. They could all be accentuated, unless and until the litany of woe described above shifts for the better. We’ll see whether Cairo is chastened or emboldened by this RevCon. Unless Cairo’s behavior is called out by other states, I’m not optimistic. If the RevCons here on out are to be a month-long scratching of wounds, creative ideas will be needed to add balm to this gathering. Demanding timetables for states possessing nuclear weapons to reduce reliance on them, regardless of the state of the world, isn’t a remedy. If only USA, UK and Canada refused then clearly you can’t hang it all on Egypt and Russia. Perhaps the time of step-by-step incremental NPT diplomacy is nearing an end. The alternative narrative is this: Egypt has been pushing for a nuke-free zone since the mid-1970s, and *every* middle East NTP signatory state agrees with the Egyptians. But….. there is a state in the region that *hasn’t* signed the NPT and who *doesn’t* want a nuke-free ME. And what the Egyptians see are three supplicants – the USA, UK and Canada – who insist on siding with that nonNTP state against the wishes of all – repeat,all – the NTP signatory states. Not just all the Middle East NTP states, but *all* the NTP states, who’s opinion on this matter counts for less than the opinion of that one NPT-hold out. The Egyptians see that – heck how can they miss it? – and the Egyptians think: W.T.F. is going on here????? Isn’t that at least as valid as your narrative? 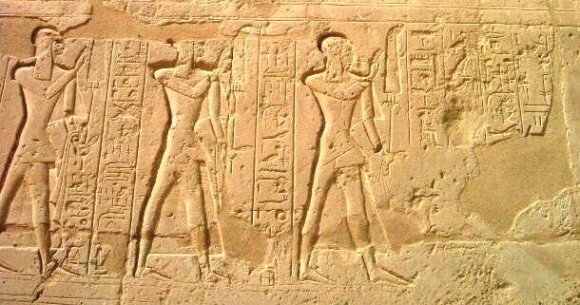 Michael: Enjoyed the blog but you almost made me feel sorry for the Egyptians, not quite. One can be rightfully critical of their actions but to attribute it all to anti Israeli ranting is not in my opinion correct. The effort to create a MENWFZ is motivated by more than this, and the U.S. and other non regional nations have never taken it seriously and have woefully failed to live up to their promises made going back over several Review Conferences. The resulting petulance by some in the Egyptian Foreign Ministry is understandable while their most current actions are regrettable. PS: Had we ( the U.S.) really been interested in finding a creative alternative process forward toward a MENWFZ conference at the most recent Review Conference this might have been avoided. If you want to point fingers for failure of a consensus Final Document we share the guilt. Similarly you damn those supporting humanitarian nuclear war discussions with faint praise. I do not believe supporters are using it as a blunt instrument to attack the sanctity of the NPT, but rather to remind all parties of their legal obligations under that treaty. Article 6 does not refer to “step by step” as the singular approach to achieving general and complete nuclear disarmament. Indeed the steps seem endlessly up an escalator going much faster in the opposite direction. I believe that those who support abolition should fully embrace and proselytize this discussion. It is regrettable that it’s Egypt bringing it up, with the political dimensions, but it would not be better for the US or Israel if it were Jordan, or Kuwait, or the UAE. A fundamental problem with the NPT regime is that it’s being treated as a Big Boys Club by the nuclear weapons states, despite its explicit treaty text. Egypt (notionally a friend-ish country) calling us on it is not wrong in that. The great Michael K. does not often get visibly angry, so when he does we’d better pay attention. The WMDFZME (not a NWFZME as a commentator above puts it) is an extremely ambitious project and necessarily a long-term one. Especially in a non-Sykes-Picot region. Egyptian diplomats (I doubt that the Army cares) have made it their mission in life. But their refusal to consider a reasonable compromise (from Spain, I believe) that could have allowed the conference to take place. One alternative to “two hundred potential vetoes” is a 2/3 majority to get resolutions passed, rather than unanimous agreement. This prevents any one nation (e.g., Egypt), or even a very few nations (e.g., U.S., U.K., and Canada), from blocking passage of a conference resolution that most would favor. Once you depart from unanimous consent, you have the additional question of how to weight the votes of each nation, since it is obvious that not all nations are equally important. The powerful will ignore a 2/3 vote of the weak. We could re-weight the votes according to some combination of population and GDP, to provide a more realistic voting outcome. If this is a bridge too far, we could provide equal votes to a smaller group of nations. In between the 5-year NPT conferences, there should be a smaller conference that convenes regularly to negotiate seriously and multilaterally on all nuclear arms control issues. The top ten nations by GDP are: United States, China, Japan, Germany, France, United Kingdom, Brazil, Italy, Russia, and India. The top ten nations by population are: China, India, United States, Indonesia, Brazil, Pakistan, Nigeria, Bangladesh, Russia, and Japan. Between these two lists are 15 nations and 7 nuclear weapons states.